The hype is real: Outlast is the most terrifying game of the last ten years. Prepare to experience pure survival horror. And to scream like a child. Outlast just released on Steam yesterday but innumerable videos of reactions to Outlast gameplay have already been recorded, uploaded and upvoted. 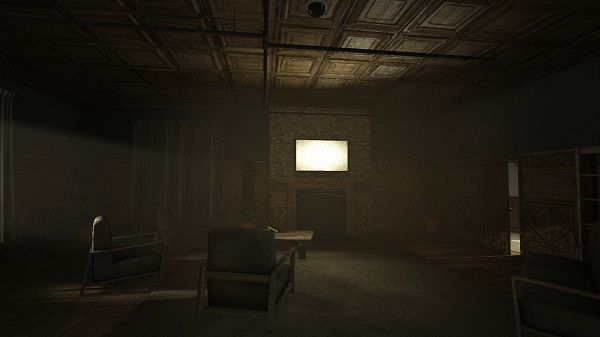 Is Outlast all jump scares or is there substance to this spine-chilling adventure? The gameplay of Outlast is truly what is advertised: you have no weapons, no superpowers and no knowledge of martial arts. You can’t even jump particularly high. You are only able to run, hide and record. Enemies are able to kill you fairly easily since you are just a normal human being. You feel helpless because you are helpless. Careful details of the game serve to scare you further. Hearing the panicked breaths of your character enhances the experience as you absorb his fear, being able to see your character’s body (i.e. he is not just a pair of eyes and arms, you can see his torso and legs as well) causes you to lose yourself within the game, the subtle differences in sounds by location and intensity engages you, and the result is one terrifying time. The camcorder is no gimmick. It intensifies the terror without impeding on the gameplay. The grainy, high contrast night vision distorts the environment around you resulting in a strengthened sense of alienation. You feel estranged from reality when peering through your handheld camera and further immersed in the nightmare. An impending sense of doom pervades in every shadowy corner. The camera also looks and sounds as it should: the audio muffling when moving, the ability to zoom in and out and the distortions from a dying battery all feel real. Fortunately, because the camera is an optional mechanism for viewing well-lit areas you never feel constrained by the low-res visuals the camera provides. You are still able to enjoy the beautiful graphics and the detail they provide. Attempting to opt out of using your camera to avoid scares is not an option, however. Without your camera the levels are not navigable; it is compulsory at times and Outlast is designed so that when the camera is necessary, you can bet scares are going to be maximized. Using your camera as a flashlight is an interesting idea that the game fully utilizes but rarely overuses. Notice the camera in the shadow? This Indie game has the polish of a AAA title. Thankfully, the game is not marred by frustrations of many similarly ambitious indie titles. 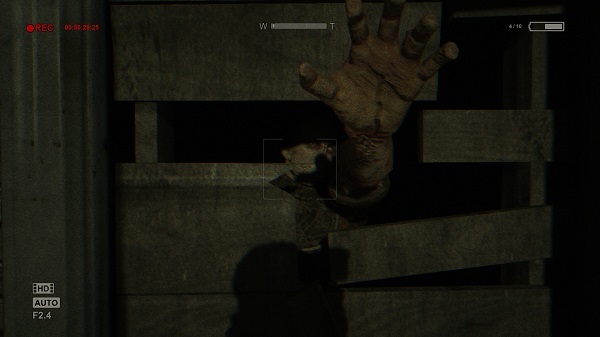 Outlast is a surprisingly polished game, especially for a $20 title. There are plenty of checkpoints in the game so death (which comes very easily) is not too harshly punished. Additionally, the music while astonishingly good never overpowers the experience. The game’s story and pacing is steady, the mood is clearly defined; disturbing psychological thrills, horrifying monsters and graphic gore of usually incongruous horror genres are melded expertly. 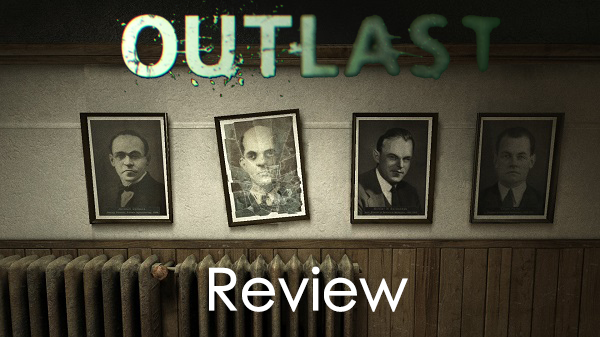 Every facet of Outlast seems to work together to create a well-crafted, cohesive whole. 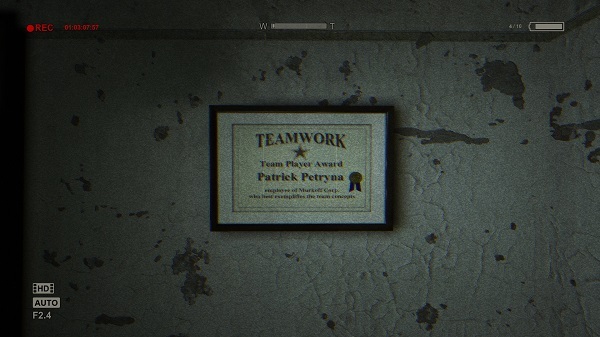 Outlast isn’t without a sense of humor. It’s simple: if you’re a horror fan you should pick this up. If you are a survival horror fan you need to. Outlast proves that survival horror is a lively corpse that’s far from past its prime as a genre. 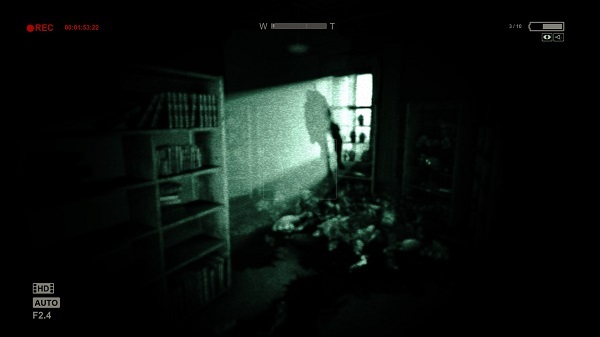 What do you think about Outlast? What about upcoming survival horror titles like The Evil Within? Comment or tweet @gamebloggirl!